Home builders in Creekwood Collections at Chappelle are dedicated to helping you design your dream from the ground up. From duplexes to estate homes, these builders take your quality and comfort to heart while keeping your lifestyle in mind to ensure your home is distinctly you. Now buildling in The Estates of Creekwood Collections at Creekwood Collections! 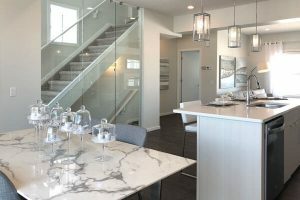 Alquinn Homes was established in Spruce Grove, Alberta, in 2011 by John McCaffray, a local professional who gained extensive experience as an executive for one of Canada’s largest homebuilders. John’s vision for Alquinn Homes was guided by the desire to build exceptional new homes in his hometown of Spruce Grove, a desirable community that deserved desirable homes. He wanted to include the details and amenities customers want, but without the frustrations that seemed to be “built in” to the process with other builders. At Alquinn Homes, we put more than 40 years of homebuilding experience to work for you. Every home we build is designed and constructed with extreme attention to detail, quality craftsmanship and materials, and a keen understanding of the homeowner’s needs and wishes. As a smaller volume semi-custom builder, City Homes has the flexibility to offer a higher level of design and customization while continually remaining competitive in today’s ever changing market. An ability to personalize coupled with an unparalleled attention to detail and an impeccable standard of quality ensure a home for a lifetime. City Homes clients will enjoy a unique home buying experience and have access to City Homes’ preferred lawyer and professional Décor Group. DKH Homes is proudly owned by Dwayne Hartle who brings over 20 years of construction experience to his company. Dwayne has worked his way up in the industry starting as a labourer and is a firm believer that the best homes are built by those who have actual hands on experience. Through the years Dwayne had taken on new challenges both professional and academic, and prior to starting his own company he was the General Manager of a large Edmonton home builder while also earning his MBA. As a company, DKH Homes prides itself on building homes of high construction quality as witnessed by its satisfied home owners and positive customer referrals. DKH Homes is proud to partner with industry leading trades and provides home warranties through Progressive Home Warranty. Kirkland Homes is proud to be building in Crawford Grove at Creekwood Collections. Mill Street Homes is very excited to be building in Creekwood Collections at Chappelle. We invite you to create a new path that starts with a place for you and your family to call home. Mill Street offers beautiful custom homes in all price ranges. Crystal Creek Homes’ mission is to make the process of purchasing and building a home seamless and to provide the expert guidance and experience customers deserve from their builder. We are passionate about the homes we build, we are inspired by the customers who visualize them, and we are dedicated to the experienced team that creates them. 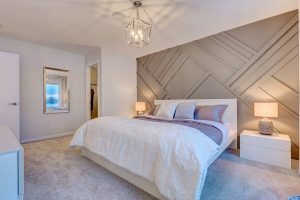 Crystal Creek Homes – a reflection of you. Learn more about Crystal Creek Homes. Designing Homes – Building Relationships. 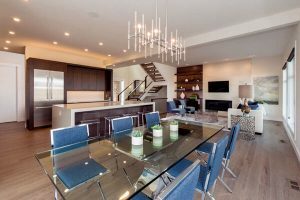 Caliber Master Builder is a family owned and operated homebuilder serving Edmonton and area for over 17 years. Our dedicated team works hand in hand with our customers to bring the vision of their home to reality. As a semi-custom builder Caliber Master Builder specializes in acreages, infills and renovations. Learn more about Caliber Master Builder. Coming soon to the Creekwood Collections at Chappelle! Learn more about North Pointe Homes here.